Complex Says: The words Lamborghini and Jeep don't exactly click together for most people. 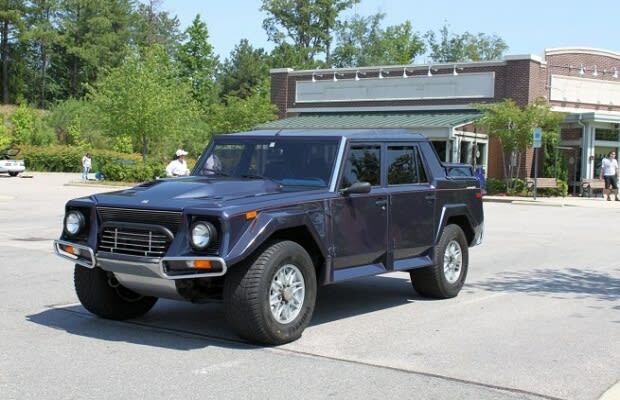 But between 1986 and 1993, 328 such vehicles were manufactured in the form of the Lamborghini LM002. Among its many famous owners (including Sylvestor Stallone, Tina Turner, Pablo Escobar, Muammar Gaddafi, and Uday Hussain) was Mike Tyson. On his way to going bankrupt after earning over $140 million during his career, the powerful boxer added this white Lambo jeep to his expensive garage collectibles. Certainly not the most economical vehicle, the LM002 rolled on some expensive 345/60/17 Pirelli Scorpion Zero's, and it had a 76-gallon fuel tank, which only allowed for 460 miles of travel before hitting “E."